Over the past few years the NFL ratings have soared higher than Snoop Dogg at a Willie Nelson concert, and much of that is due to the increased popularity of sports betting and fantasy sports. However, many fans who are eager to start profiting from sports betting don’t know where to start. 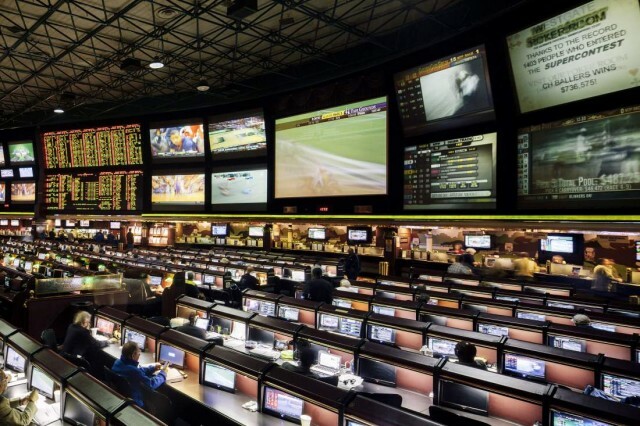 Whether dealing with endless touts promising unrealistic winning percentages, figuring out which sportsbooks are trustworthy or simply determining which sides they should be taking, this can be a trying process. Our Sportsbook Insider software features live odds from over 40 offshore sportsbooks, public betting percentages from 7 contributing offshore sportsbooks, highly profitable Best Bet picks and many other features that allow us to be a one-stop shop for all of your sports betting needs. But there is a lot more information that novice bettors need at their disposal before they can begin taking advantage of everything our subscription has to offer. Ideally bettors should have access to at least three sportsbooks: one sharp, one square and one reduced juice. Square sportsbooks refer to oddsmakers that cater to the casual bettor. These books typically have fairly low limits and, because novice bettors are prone to betting favorites and overs, usually offer excellent lines for underdogs and unders. Examples include Bovada, BetOnline, Sportsbook.com and Sports Interaction (SIA). These sportsbooks are often times 1/2-point or more off the market average. Sharp sportsbooks typically take the highest limits on games, and books like CRIS will often take 6-figure bets during the NFL season. These books usually have the best lines on favorites and overs. While most sportsbooks will typically charge a -110 vig on each side, reduced juice books are far superior for everyday bettors since they typically have lines of -105 or -106. While bettors need to win 52.38% of their bets to break even with standard (-110) juice, that percentage drops to 51.22% when the juice is -105. By having access to multiple sportsbooks and always shopping for the best line, bettors can increase their long-term profits by 1-2%. That may not sound like a lot to newer bettors, but that small difference can often times be the difference between a winning and a losing season. 2. Which sportsbooks should I choose? We try not to make recommendations, but bettors should check out SportsbookReview.com for user feedback and expert analysis on every offshore book. Find out which books are reliable, offer valuable sign-up bonuses or have convenient cash out policies. Make sure not to overreact to a recent streak. Good systems will win in the long haul, so make sure to maintain a consistent unit size when betting. Most experts will advise betting between 2-5% of your bankroll on each game, depending on how aggressive you are. We’ve spoken in the past about the dangers of chase systems, which allow touts to advertise unrealistic winning percentages. Resist the urge to increase your bankroll during a winning streak, employ a flat betting strategy, and you will be one step closer to long term gains. Sportsbook Insider allows customers to view real-time odds from over 50 sportsbooks (including 1H, 2H and live in-game odds), public betting trends, the number of bets and email alerts. With our Pro subscription bettors also receive our Best Bet picks, bet signals (including steam moves, reverse line movement alerts and contrarian plays), value meter, line watcher, line predictor and more. Even if you’re not prepared to pay for a live odds service, we offer a free odds page featuring a lite version of our Sportsbook Insider package. Getting that extra half-point can be the difference between winning and losing, and a live odds service allows you to view which way the market is trending and which sportsbooks are differing from the market consensus. As a general statement, handicappers are not trustworthy and typically they inflate their numbers. There are obviously come exceptions to this rule including Right Angle Sports, but these examples are few and far between. Many handicappers will promote unrealistic winning percentages without any documentation about their past performance. At Sports Insights, we pride ourselves on our transparency and have posted our Best Bet record for every season dating back to 2007. Bettors can also view our most recent picks (along with the line used and the result) by visiting our results page. Another common issue with handicappers is that they don’t consider the cost of their picks relative to bet size. If you’re betting $50/game, can you still make money after paying off the subscription cost? Our research showed that by purchasing a long-term membership, users would only need to bet $16.86/game to justify the cost of our Pro subscription. Some handicappers will send one side to half of their list and the opposing side to the other half. This ensures that 50% of their subscribers will receive a winning pick which they can boast about. We’ve also spoken about the long term risks associated with Martingale systems. Your bets should be based on solid data and analysis, not gut feel. Taken to an extreme, you can actually place your hand over the name of each team before placing your bet to eliminate any existing biases. Don’t be like this guy. In the past we have published a number of articles which help identify sharp money, typically by looking for reverse line movement. This refers to line movement that contradicts our public betting trends, and perfectly represents the “Pros vs. Joes” concept. Another excellent way to identify sharp money are steam moves. Sports Insights defines a Steam Move as sudden, drastic and uniform line movement across the entire sports betting marketplace. Steam is the result of a sudden overload of money placed at multiple sportsbooks and, in most cases, occurs due to betting groups, betting syndicates and a few key players with the resources to “get down heavily” at multiple locations, all at once. Following every steam move triggered would take a tremendous amount of time and requires a massive bankroll; however, this can be very useful in determining how and why the line has moved for a certain game. One of the most common mistakes made by new bettors is placing too many bets. Selectivity is a virtue, and it’s important to know that there isn’t necessarily a sharp side in every game. It’s also important to know how to manage contradicting moves. You may have a steam move on one side and a reverse line move on the other. Instead of trying to decipher which side is stronger, sometimes laying off and not placing a bet is the real sharp move. This is also valuable for Bet Labs users. If there are multiple system matches on each side of a matchup, don’t pull out your hair trying to pick a side or determine which systems are stronger. Lay off. For years we have posted articles referencing various betting systems that have been created using our Bet Labs software, which allows customers to build data-driven systems using over 100 different filters and over a decade of data. This includes proprietary data like our public betting trends, but also various statistics, spread ranges, previous game margin, streaks, officials, head coaches and much more. Driving Hypothesis: This ensures that you can explain why your system has been profitable. Large Sample Size: The sample size is chosen to maximize the chance of uncovering a statistically significant edge. Larger samples allow us to have more confidence in our data, since it reflects a wider range of results. Simply put, large sample sizes reduce our uncertainty by giving us more information. Consistent Year-to-Year Returns: Many users will create systems that were highly profitable for a few years, but have dropped off in recent seasons. Typically this indicates that oddsmakers have adjusted to these trends, and any value has been sucked out. Not Custom-Fitted: It’s easy to custom fit your data to produce the most profitable system possible, but that won’t help when placing bets in the future. Many users will ignore data points that have been historically unprofitable and choose arbitrary end points for their betting system. This causes issues because it’s entirely arbitrary. Betting Against the Public is one of the most popular and simplest methods used by Sports Insights members. The logic is simple: always bet against the public. Whichever team the public is loading up on, simply bet the other team. Although oddsmakers don’t necessarily always want to have 50% of the money on each side, they are interested in minimizing risk. If 80% of public bettors are taking Team A (-7), sportsbooks will likely adjust Team B to +7.5 to +8 to encourage more action. This line movement is completely artificial, allowing opportunistic bettors to get an additional 1/2-1 point purely based on uneducated or “square” bettors. This is particularly true in more popular sports like football and basketball. The public loves to bet favorites and “overs”. It’s human nature to root for winners and scoring. The media, which over-hypes winning teams that score a lot of points, further inflates this human tendency. Sportsbooks understand this and shade their lines accordingly. Although not as true as it was years ago, it’s still advantageous to bet on favorites early and underdogs late. Since a majority of public bets will take the favorite in most games, bettors looking to take the underdog can simply wait until the line has been artificially inflated and place their wager at a more favorable number. Most sportsbooks will require a good deal of documentation before cashing out. They don’t want money to be taken out, so make sure that you are prepared with any necessary identification, pin numbers, or banking info that may be required. Assuming your sportsbook has a good reputation, don’t cash out every cent in your account. Remember, sports betting is all about having patience and a long-term outlook. It’s easy to take your money and run, but if you truly have an edge there’s no reason to think that you can’t continue to profit over the long haul. Be aware of various basic edges. For example, home teams are undervalued in baseball but overvalued in every other sport. Underdogs benefit from high totals in baseball, but favorites benefit from high totals in football and basketball. Teams are undervalued following a loss — particularly if the loss was a blowout. Information is power, and power is money. We take pride in the speed and accuracy of out injury reports, so make sure to sign up for our injury alerts or follow us on twitter @Sportsinsights. Our blog and twitter page includes the latest news, betting trends, systems, and anything else that can help you place sharper bets or increase your understanding of the sports betting marketplace. David Solar is the Content Manager for Sports Insights and can be reached directly at David@sportsinsights.com.